Planning a bedroom makeover? Creating a luxurious retreat won't be complete until you fund the ideal duvet, linen and other bedding. Quilt covers alone can transform a space from ho-hum to a grand boudoir. In the same way, a bathroom makeover can be as simple as new bath towels or bath accessories. 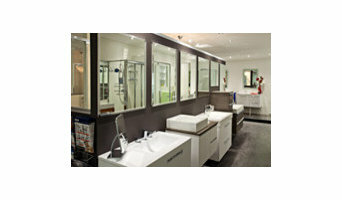 A bathroom renovation in Canberra could see you sourcing a new bathtub or bathroom taps. Here are some related professionals and vendors to complement the work of bedding & bath: Home Stylists and Property Staging, Kitchen & Bathroom Designers, Interior Designers & Decorators, Furniture & Accessories. A good place to start is re-vamping your storage. In a bathroom, where storage is often in short supply, a supplier who has a wide variety of brands and ideas can save your days of searching. So start by perusing the reviews and ratings of bedding and bath manufacturers and retailers in your Canberra, Australian Capital Territory area.